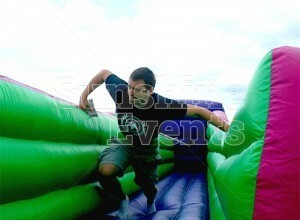 It’s time to weed out the men from the boys, the strong from the weak, and the wheat from the chaff! The Bungee Run is one of our most popular competition inflatables, with queues forming as the hopeful participants race their way along the brightly coloured tracks. 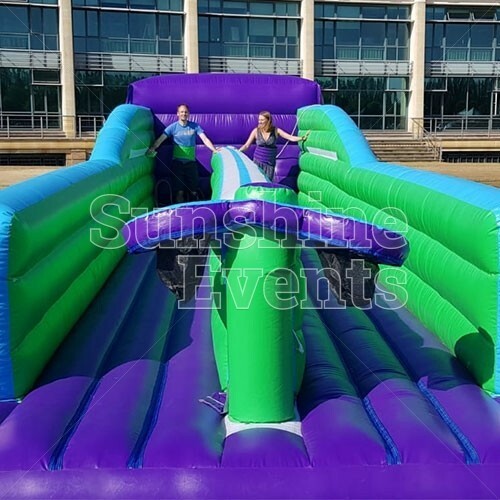 Here’s what you need to do: take your place in your chosen lane and our fun expert will strap you in, attaching you to the bungee cord on the back of the inflatable. 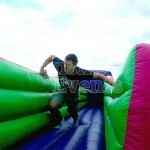 Then it’s up to you to run as fast and as hard as you can along the bungee run, placing your bean bag as far along as you can. 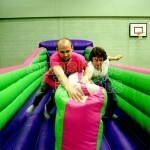 But now sooner have you placed it and you relax, the cord will drag you back to your starting place! 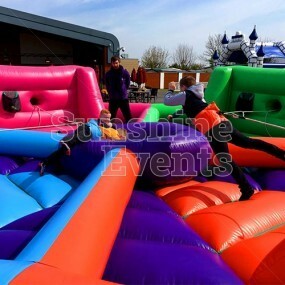 Since every person who tests their skills on the Bungee Run is different we also have the ability to alter the strength of the bungee cords, thus increasing or decreasing the tension. 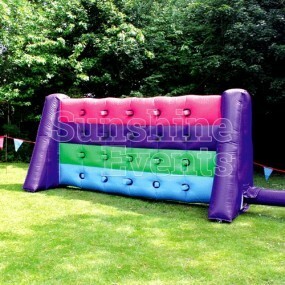 Children can play against adults, since the playing field has been sufficiently evened! 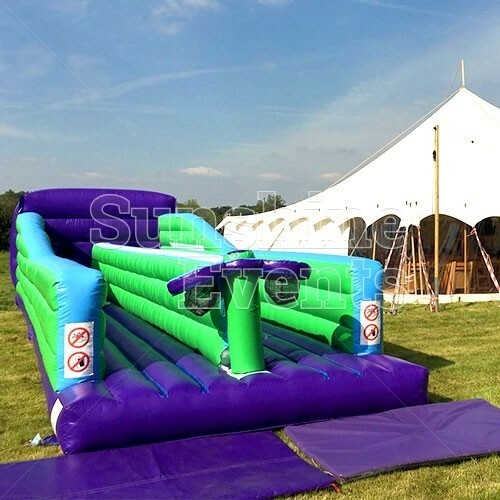 What events are the Bungee Run Hire suitable for? 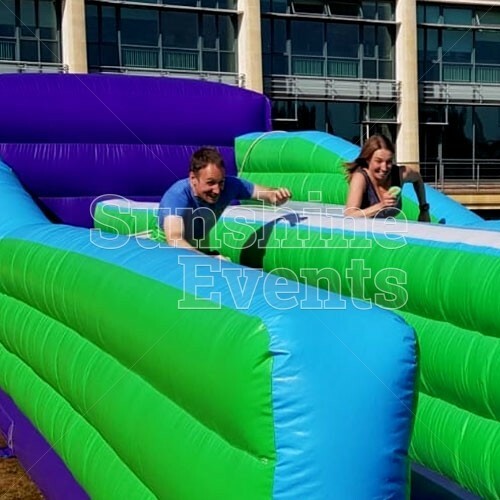 The highly competitive nature of the Bungee Run make it a perfect addition to events of all kinds - so whether you want to add a bit of fun to your event or you need to determine and overall winner of a sports or Team Building event, then this is the one for you! Did you know? 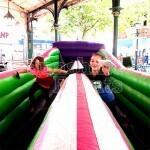 The highest recorded Bungee Jump point is at Royal Gorge Bridge in Colorado, USA, at 321 metres! 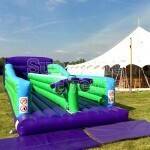 But don’t worry, there are no heights involved in the Bungee Run - you’ll be keeping your feet firmly on the ground! Access Requirements: please note that a width of approximately 1.1m is required when moving the equipment through doorways and corridors. If you feel that access may be an issue, such as stairways or lift access, uneven surfaces, obstructions or perhaps long distances then please mention this in your enquiry. 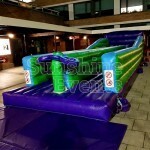 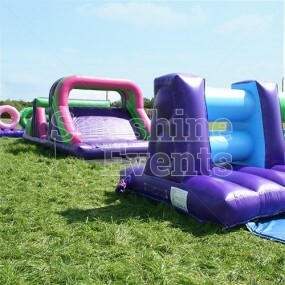 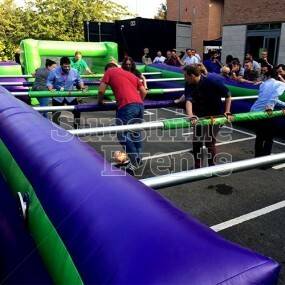 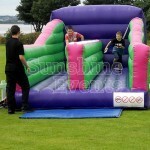 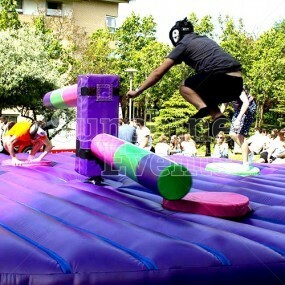 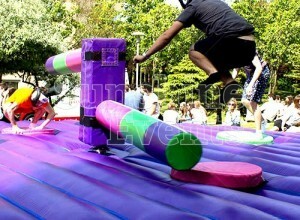 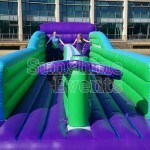 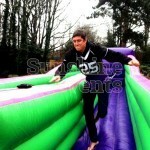 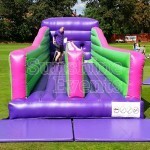 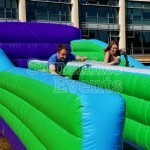 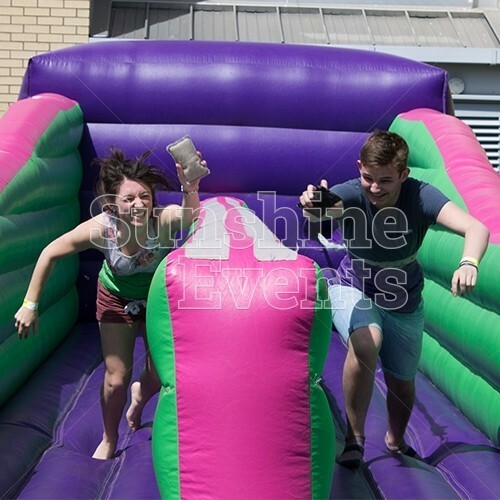 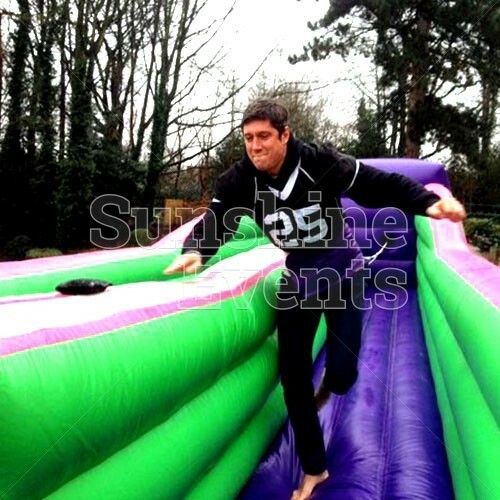 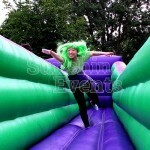 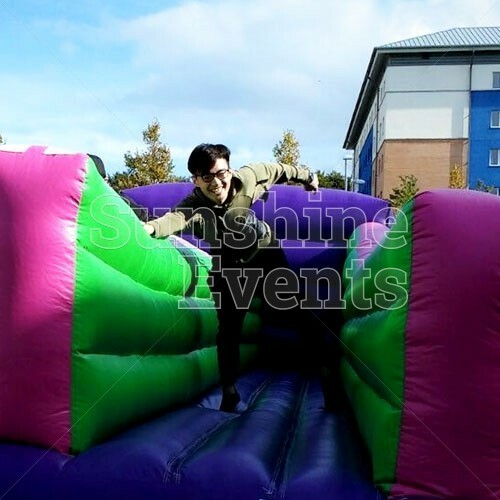 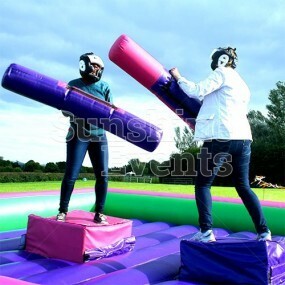 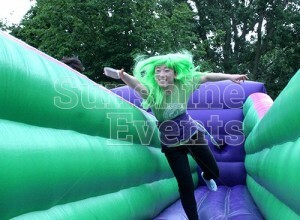 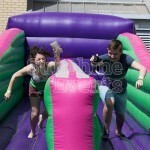 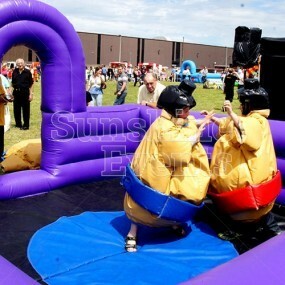 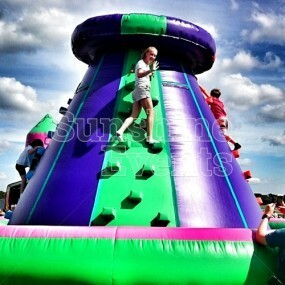 Bungee Run Inflatable Hire has been added to your Event Quote.